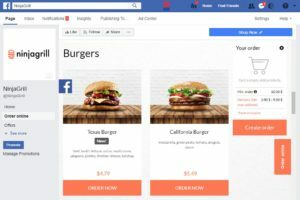 The huge popularity of this American giant has created a new communication channel for customers in the restaurant industry as well as a tool for restaurant online marketing. 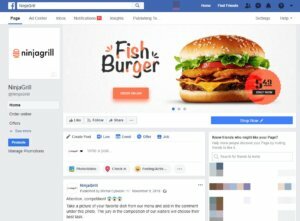 See how to increase the effectiveness of a restaurant Facebook page. When it comes to information regarding the restaurant, it certainly has to include the contact details – address (preferably with a map showing its location), email address, and telephone number. The offer should present the menu as well as information regarding any promotions, discounts, possibility of renting the restaurant for a closed event, etc. 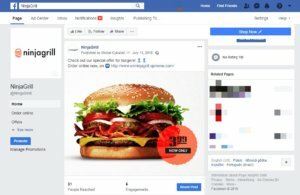 Facebook offer ready forms so you can enter your restaurant data. New improvements appear each year. The menu feature is one of these, making it possible to present the entire offer on Facebook by creating an electronic menu version. If your menu changes daily, don’t forget to notify your customers about this in an appropriate post on your timeline. First of all, you have to know that Facebook has introduced rules regarding the size of images. The optimum size of the photo should be between 851 pixels (width) and 315 pixels (height). If the image is smaller, Facebook will expand it causing quality loss. On the other hand, excessively large images will be cut. Secondly, make sure that the image you choose is consistent with your business. What we have in mind is whether the background colour or font correspond to those in your brand visualisation. 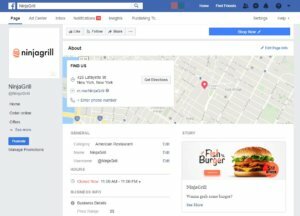 A customer visiting your restaurant Facebook page, should immediately know that they are on your restaurant’s profile. Facebook is a great platform for interaction with customers. Thanks to its system of updates and comments, you can talk to users and encourage them to complete various activities. One of the most effective call-to-action methods is offering something in exchange. This is why you should organise contests with small rewards such as discounts or free beverages. Update your timeline on an on-going basis, posting new photos and short messages. Encourage customers to visit your restaurant with a delicious-looking cheesecake or seasonal vegetable soup. Be sure to post information about deals of the day and special offers. Remember to include a persuasive call-to-action with each post. A Facebook profile can become another tool for multiplying profits. Everything can be done based on the online food ordering system Thanks to this convenience, users do not even have to access your website or call the restaurant. They can place an order through Facebook. Use the popularity of Facebook to your advantage. Take into account that a lot more users have a chance of visiting a restaurant Facebook page than its website. When you offer the possibility of ordering food through Facebook, you are meeting their needs. Today, ignoring the power of social media is a serious mistake in terms of restaurant marketing. Social media can promote a restaurant in an effective way while attracting new customers at the same time and improve sales results as a consequence.